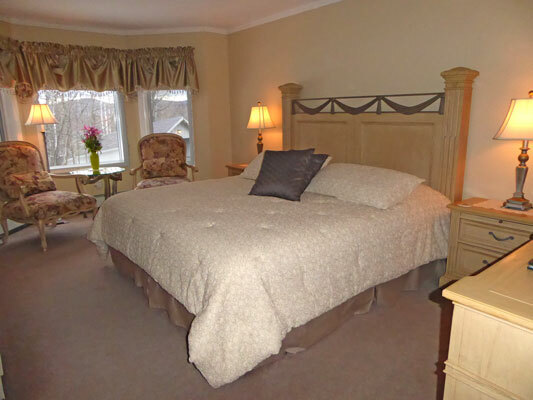 European influences dominate Room 5 at the Birch Ridge Inn. A King sized bed with a massive headboard attract your attention when you enter the room. Matching bachelor chests compliment the headboard. Pewter accents and lamps complete the ensemble. If your eyes are not drawn to the bed, the bay window with Louis XIV sitting chairs and the art deco table will get your attention. The bay windows overlook the Covered Carriageway and gardens with mountain tops across the Roaring Brook Valley as a backdrop. Matching the bed and chairs, an Armoire is tucked into an alcove in the room as your closet. 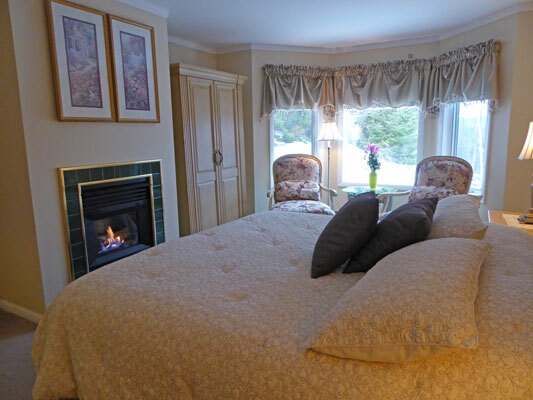 At the foot of the bed, you will find a fireplace for your enjoyment. Room 5 also features a large private bathroom with a tub and shower. Of course, the room is also equipped with a HD television, complimentary WIFI, and an alarm clock with usb charging port. The television is completely hidden from view when you enter the room. Your entire visit could be spent without even knowing that it is there. 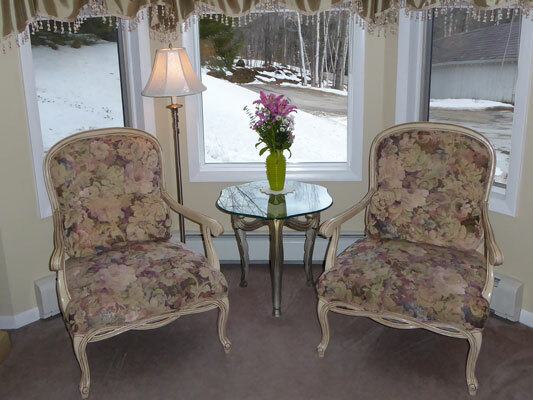 Use our Room Rate Calculator to start planning your vacation in the European Room at the Birch Ridge Inn.